In Sloan, the question that divided an election: wading pool or splash pad? When the ballots were counted last month to determine who would serve on the Sloan Village Board, election officials were stunned to learn they had a tie, a first for the 123-year-old village. But the linchpin of the campaign might be a first for the region: Wading pool or splash pad? The removal of a municipal wading pool built during the Lyndon Johnson administration and the plan to replace it with its more modern cousin, the splash pad, has fed the rivalry between the Sloan Citizens Party and the People's Choice Party. It has irked village officials. And it has necessitated this week's re-vote to break that historic tie. The end of this story should be known Tuesday, when that re-vote between Tammy Bayes and Jennifer Kregg is scheduled for noon to 9 p.m. in the Sloan Fire Hall, 55 Gates Ave. It started a year ago, when village officials found out that it would cost more than $300,000 to fix the 55-year-old pool in Sloan Village Park. The filtration system was failing and it didn't comply with the Americans with Disabilities Act. “It made no sense to fix. It was a 1-to-2-foot wading pool,” said Village Clerk Debra Smith. "That pool was as old as Christmas. Everything was going on it – the pump, the hoses. We didn’t have the money for that,” said Mayor Thomas Ferrucci, a lifelong Sloan resident in his second year of office. But an idea that made sense to village officials created an unexpected uproar. Ostempowski, 67, and Kregg, 49, ran on the Sloan Citizens Party line, running on a promise to do something to bring back the wading pool. On the other side was two-time incumbent Bayes, running on the People's Choice Party line, who was in favor of the splash-pad-for-wading-pool trade. This was Kregg's second attempt to get on the Village Board; she ran a write-in campaign for mayor two years ago. "I had no grandiose thoughts that I was going to be mayor, but people say they don't vote because the races are always uncontested, so what's the point?" she said. Bayes, 52, said she stands by her support of the plan to build a splash pad where the wading pool was. "The wading pool was a quite an old piece of equipment. We painted it every other year. It didn’t look bad. It did everything it’s supposed to do," she said. "We saved community development funds over the years because we knew we had to do something about the pool." The wading pool that is at the center of debate in Sloan instantly became a destination when it opened in the mid-1960s. Over the years, residents brought their children and grandchildren to the pool. Book-ended by playgrounds, picnic tables and rolling lawn, then-Griffith Park offered families an affordable way to spend summer days. 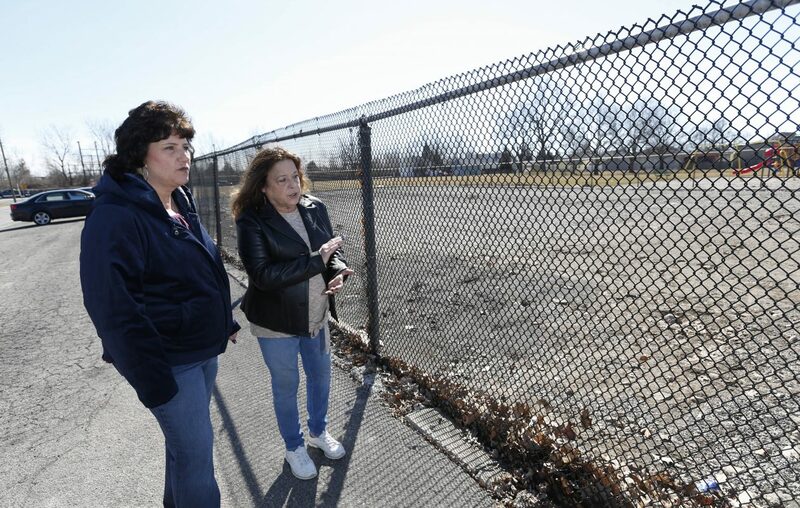 But like many other municipal outdoor pools in Western New York, the cost of maintaining it led elected officials to question what should be done with it. They thought they had a solution. Instead, they had an election that made history when two candidates each finished with 114 votes. Erie County Democratic Chairman Jeremy Zellner said that result proves the axiom: Every vote counts. "These things happen in smaller communities and more often in primaries," he said of the tie. "Whether it’s absentee or affidavit, if people want their voices heard they need to vote. I’m sure there’s a lot of people in Sloan who wished they had voted." Even if they didn't, they'll have another chance this week.